The Faculty of Science occupies a leading position internationally in its fields of research and participates in a large number of cooperative programmes with universities, research institutes and businesses. The faculty has a student body of around 3,000 and 1,500 members of staff, spread over eight research institutes and a number of faculty-wide support services. A considerable part of the research is made possible by external funding from Dutch and international organisations and the private sector. The Faculty of Science offers thirteen Bachelor’s degree programmes and eighteen Master’s degree programmes in the fields of the exact sciences, computer science and information studies, and life and earth sciences. Since September 2010, the whole faculty has been housed in a brand new building at the Science Park in Amsterdam. The installment of the faculty has made the Science Park one of the largest centres of academic research in the Netherlands. The Swammerdam Institute for Life Sciences (SILS) is one of the Faculty’s largest institutes. Its approximately 200 scientists and staff members work in 13 research groups that perform excellent research centered on four themes: 1) The Living Cell, 2) Plant Signaling, 3) Neuroscience, and 4) Life Science Technologies. The candidate will carry out a research project concentrating on the regulation of adult neurogenesis by hormones and microRNAs in animal models of epilepsy. Neurogenesis, the generation of neurons, is a delicately controlled process. In the adult hippocampus, a complex balance of factors keeps it within physiological range. In pathological situations, neurogenesis is aberrantly induced. This is well proven in animal models of epilepsy. This aberrant neurogenesis correlates with hallmarks of epilepsy in human brain. Alterations in neurogenesis are not unique to the epileptic brain. Alterations have been linked to other neurologic disorders such as addiction, stress and depression, stroke, schizophrenia and others. In the laboratory, we extensively use confocal microscopy techniques, molecular biology and a wide range of RNAi effectors from synthetic siRNAs to short hairpin RNAs and artificial microRNAs. In combination with viruses engineered and optimized to deliver RNAi effectors to stem cells and newborn neurons in the hippocampus in vivo, our experimental approach provides and excellent opportunity to contribute substantially to a currently booming scientific field. Fluent use of the English language in written and verbal forms. Project information can be obtained from Dr. Carlos P. Fitzsimons, e-mail: c.p.fitzsimons@uva.nl. Please do not send applications to Dr. Carlos P. Fitzsimons; send them to application-science@uva.nl instead. Please find more application information below. The full-time appointment will be on a temporary basis for a maximum period of four years (18 months plus a further 30 months after a positive evaluation) and should lead to a dissertation (PhD thesis). An educational plan will be drafted that includes attendance of courses and (international) meetings. The PhD student is also expected to assist in teaching of undergraduates. Based on a full-time appointment (38 hours per week) the gross monthly salary will range from € 2042,-,- in the first year and € 2612,- in the final year, according to the Dutch salary scales for PhD students. 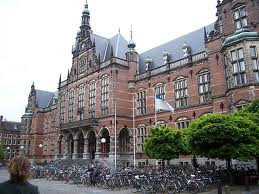 The collective employment agreement (CAO) of Dutch universities is applicable. Applications may also be emailed to application-science@uva.nl, bearing the vacancy number in the subject line and relevant documents as attachments. The closing date for application is January 31, 2012. Demikian kami sampaikan tentang PhD Student in Neurogenesis, University of Amsterdam, Netherlands semoga informasi tentang PhD Student in Neurogenesis, University of Amsterdam, Netherlands ini bermanfaat.